There is good news for borrowers who will get an FHA home loan in 2019. The Federal Housing Administration (FHA) increased home loan limits for 2019 for most areas of the country, including key homebuying markets. Effective the first of the year, the FHA home loan ceiling increased to $726,525, up from $679,650, in areas with high home prices. According to MPA, FHA will also increase its floor to $314,827, which is up from $294,515 in 2018. According to the Housing and Economic Recovery Act of 2008, the FHA is required to set single-family forward loan limits at 115% of the national median house prices in a metropolitan area. 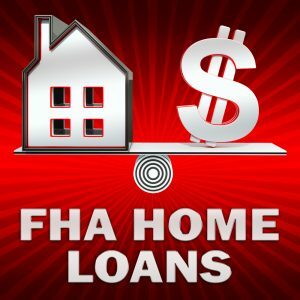 There is also a floor and ceiling on FHA home loans. In 2019, more than 3,000 counties will see a 7% boost in their FHA loan limit, and 181 counties will stay unaffected by the changes. In the case of areas with high home prices, the FHA home loan ceiling increased more than 150% of the national conforming limit. For homebuyers, this means they can qualify for a higher mortgage when purchasing a home. This follows a recent trend of millennials and Gen-Xers purchasing homes for a family, eliminating the “starter home” trend that their parents followed. Home loan limits for FHA-insured Home Equity Conversion Mortgages (HECMs), more commonly known as reverse mortgages, also increased at the start of the year. The limit on HECMs jumped from $679,650 to $726,525, a 150% increase. This increase helps senior homeowners refinance and take cash from their existing home. And in some cases, seniors can use a reverse mortgage to relocate and buy their retirement home.